User friendly, customizable dashboards, which give users the up-to-the-minute information they need to make pertinent business decisions. The rapid follow up responses and documentation provided by SYSPRO and SYSPRO reseller, CSI Technologies, during the company’s evaluation period. Ms. Frank notes that the search for new ERP software was initiated to keep pace with and support the company’s rapid growth, replace the seven disparate software systems currently used and provide a single source for real-time operational data. Additionally, by automating previously manual processes, PFI can continue to grow without having to add additional administrative labor to our business model. This will ultimately ensure that PFI continues to offer its customers the best value possible. According to Ms. Frank, Precision Fluorocarbon Inc. is looking to SYSPRO ERP to provide rapid access to business and customer information and facilitate data driven decisions which will positively impact company efficiency and planned growth. 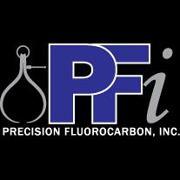 PFI, a privately held corporation, was founded in 1989 with the primary focus on custom made to order PTFE machined products, primarily for the oil field. After the first year in operation, a downturn in the energy sector prompted the organization to diversify into other industries and today serves the Medical Device Industry, OEM Pump & Valve manufacturers, Semiconductor and many other industries requiring complex, machined components. PFI is ISO 9001:2008 certified and is looking forward to utilizing the tools SYSPRO ERP will bring to enhance our focus on delivering the highest quality products to our customers.